Also serving communities of Emerson, Hawthorne. There are 31 Memory Care Facilities in the Paramus area, with 6 in Paramus and 25 nearby. The average cost of memory care in Paramus is $5,156 per month. This is higher than the national median of $4,650. Cheaper nearby regions include Yonkers with an average starting cost of $4,380. To help you with your search, browse the 10 reviews below for memory care facilities in Paramus. On average, consumers rate memory care in Paramus 5.0 out of 5 stars. Caring.com has helped 7 families in Paramus find high-quality senior care. To speak with one of our Family Advisors about memory care options and costs in Paramus, call (855) 863-8283. Paramus, which is situated at the mouth of the Hudson River in New Jersey, is home to more than 27,000 people, nearly a quarter of whom are over the age of 64. In spite of its relatively small size, the state of New Jersey is tied with Michigan for having the seventh highest incidence of Alzheimer's disease in the country. Roughly 180,000 New Jerseyites currently have Alzheimer's disease, and that number is expected to increase by 16 percent by 2025. Paramus seniors have more than four dozen memory care facilities to choose from, with six facilities within the city limits and 44 located in nearby cities. While some memory care facilities are standalone facilities that focus solely on meeting the needs of those with Alzheimer's and other forms of dementia, most are housed within assisted living facilities that have individualized memory care programs. The American Lung Association gives Bergen County an F for ozone pollution and a B for short-term particle pollution. Because ozone pollution can worsen conditions like COPD and cardiovascular disease, seniors may want to talk to their doctors about the effects of pollution on their health. Social Security benefits are not taxed in New Jersey, meaning that seniors who rely entirely on this income will not pay income taxes. Other types of retirement income are taxable, but seniors over the age of 62 are eligible for a sizable deduction to offset the expense. Ninety-six percent of New Jersey cities have a lower crime rate than Paramus, and the city's crime rate is markedly higher than other U.S. cities of similar size. A majority of the crime that takes place in Paramus is property-related, so families should speak with staff members at their loved one's memory care facility to determine how the facility is kept secured. The Paramus area is home to world-class medical facilities, including those specializing in brain health and dementia care, such as New Bridge Medical Center, in the event of medical emergencies or illness. Memory Care costs in Paramus start around $5,156 per month on average, while the nationwide average cost of memory care is $4,800 per month. It’s important to note that memory care rates in Paramus and the surrounding suburbs can vary widely based on factors such as location, the level of care needed, apartment size and the types of amenities offered at each community. 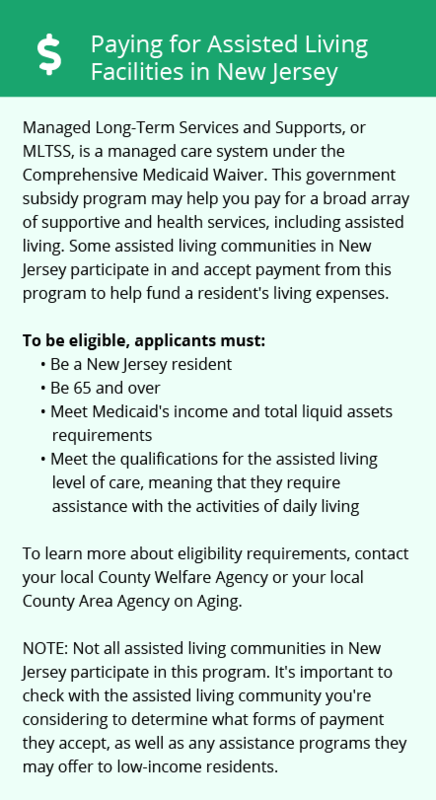 Paramus and the surrounding area are home to numerous government agencies and non-profit organizations offering help for seniors searching for or currently residing in an assisted living community. These organizations can also provide assistance in a number of other eldercare services such as geriatric care management, elder law advice, estate planning, finding home care and health and wellness programs. To see a list of free memory care resources in Paramus, please visit our Assisted Living in New Jersey page. 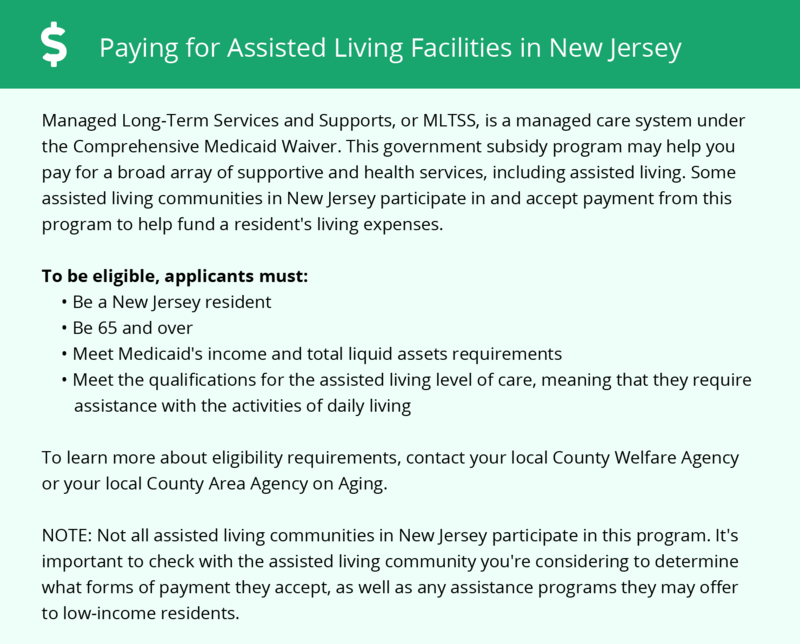 Paramus-area assisted living communities must adhere to the comprehensive set of state laws and regulations that all assisted living communities in New Jersey are required to follow. Visit our Memory Care in New Jersey page for more information about these laws.